Motor vehicle collisions are the leading cause of death for those ages 5 to 34 in the United States today. As more and more motorists continue to enter the roadways across the country and, more specifically, in Tennessee, congestion and heavily trafficked regions lead to a growing number of accidents. When seat belts were first introduced to the automobile industry, much aversion circulated the debate about the value in seat belt use. More often than not, seat belts provide protection in the event of a car crash, safeguarding the passenger occupants from injuries. Statistically speaking, seat belts save thousands of lives each and every year in the United States. However, there are times when the presence of a seat belt actually intensifies an injury during an auto accident. Seat belts are designed to restrain a passenger in the event of a collision, protecting this occupant from further damage. Recent studies have indicated that seat belts reduce the risk of a traffic fatality by 45 percent. However, there are certain situations where the force of the impact causes the seat belt to damage an occupant, causing seat belt injuries to occur. Greg Coleman Law has seen a wide range of seat belt injuries in our many years of personal injury litigation experience. As an active member in the Tennessee community, our auto accident lawyers take the time to get to know our clients and their case in order to build a claim that achieves the maximum compensation possible. If you or a loved one has suffered from seat belt injuries following a motor vehicle collision, we are prepared to take on your case today. To get started, simply fill out a Free Case Review on this page. The majority of information regarding seat belts highlights the positive aspects of protection that these safety measures provide, however, little information is available regarding the potential dangers that seat belt injuries may inflict. Even worse, many of the most common seat belt injuries take days to appear, making it difficult to detect and treat potential damages. Understanding the possible risks associated with seat belt use is imperative when a crash occurs. Seat belt damage that is imperceptible to the human eye can quickly change from a minor injury to a serious injury, simply by neglecting to treat the damage. As such, Greg Coleman Law believes that an informed driver is placed in the best position to protect themselves in a crash situation. The driver of the vehicle is responsible for ensuring that all occupants are wearing their safety belts properly. Unfortunately, many seat belt injuries could have been prevented if the passenger was wearing the belt correctly. Children are the biggest offenders of improper seat belt wear, be sure to keep an eye out for this misuse of a critical safety measure. When accident victims begin to feel any of the above symptoms, they must seek medical attention right away. The longer a passenger occupant delays before seeing a medical professional, the greater the chance that the injury will worsen. If you or a loved one has suffered from any damage following a crash in Tennessee, you may be entitled to compensation. Contact Greg Coleman Law today for a free, no-obligation consultation. 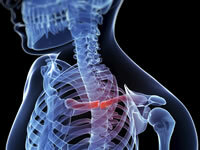 Some of the seat belt injuries present in an accident victim will appear right away. When the vehicle crash is severe, victims must seek the care of a physician as soon as possible. As time goes by, the severity of damages will worsen, potentially causing a number of additional ailments. Some of the most catastrophic seat belt problems occur due to a malfunction of equipment, improper wear, or a strong impact. If you or a loved one has suffered from any of the above medical complications, you may be entitled to compensation for the losses you have endured. Greg Coleman Law strongly believes that those who have been harmed by the negligent actions of others deserve the maximum compensation to help pay for medical bills, lost wages, pain and suffering, and any other damages associated with the motor vehicle collision. 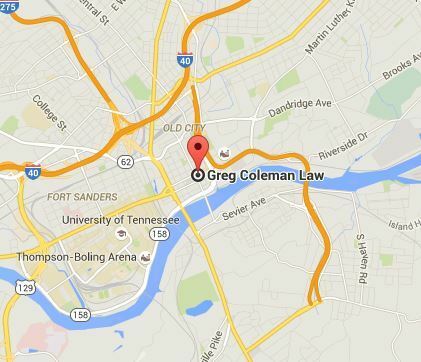 To speak with our Knoxville personal injury attorneys, complete a Free Case Review today.